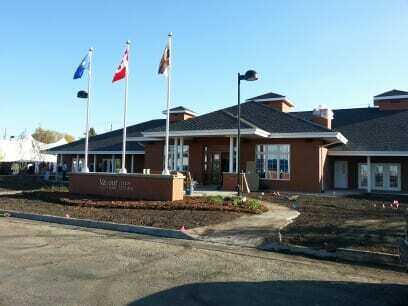 On October 2, 2012, Edmonton will step up once again with the opening of Valour Place. Valour Place is like Ronald McDonald House, but for injured soldiers as it provides “hope away from home” for Canadian Forces and RCMP members, veterans and their families when they are in Edmonton for medical treatment and rehabilitation. Valour Place is significant on so many levels. It’s the first home of its kind in Canada and it’s right here in Edmonton. It’s an initiative led by the community, for Canada’s military community. A team of hard working and connected Edmontonians took an idea conceived by Honourary Colonel and passionate Edmontonian Dennis Erker, raised money from businesses and individuals, and worked closely with the Department of National Defence and the Canadian Forces to ensure we were building a home that was a perfect fit with the needs of our military men and women. I had the incredible opportunity to contribute to this project, sitting on the Board of Directors and supporting the communications and public relations from idea stage through to the official opening. I have sat on many boards and I like to give back to my community, but this project was different. Like many of us, for years I’ve struggled to find a significant way to thank our soldiers and veterans for the incredible sacrifice they have made and continue to make for our country and our world. Supporting the creation of Valour Place is a small way for me to build a stronger community and give them my gratitude and thanks. I’m proud that our city is home to this groundbreaking project. Our politicians need to take note that it’s community projects like this, not sports arenas, that make our city “world class”. Other Canadian cities are watching Valour Place and it’s expected that Valour Place (and Edmonton) will become the model for building military support homes elsewhere. I believe that in life, we all seek significance. We all want to make a difference and we spend our days looking for small and big chances to make a mark, change a mind, touch a heart. Our soldiers, veterans and RCMP members regularly dance with significance. Their work is all about protecting us and providing the freedom to live. It doesn’t get more significant than that. Edmonton has accomplished something important and the rest of the country should take note. Our city is showing its valour for Valour Place, and for years we will make a difference in the lives of military families when they need our love and support the most. Work well done, Valour Place board, volunteers and visionaries. I was fortunate to learn about this project through you, Jenn. I think Valour Place will be a very important home. We couldn’t agree more with your blog Jennifer. It was a pleasure and an honour to work with you, Julie and of course the formidable Dennis Erker on this project. Kudos to Edmonton! 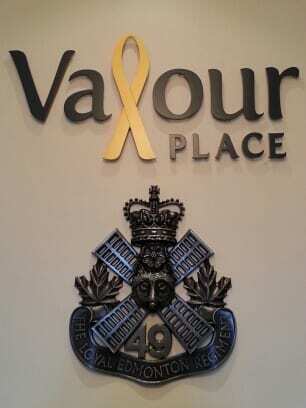 And a big kudos to you, Gord, and your Vision Creative team for designing a strong visual identity for Valour Place.